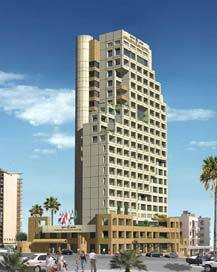 Hotel Ramda Plaza Beirut is located in the prestigious Raoucheh area. Overlooking the majestic Mediterranean sea, it boasts an unparalleled view of the famous Raoucheh Rock & surrounding mountains. 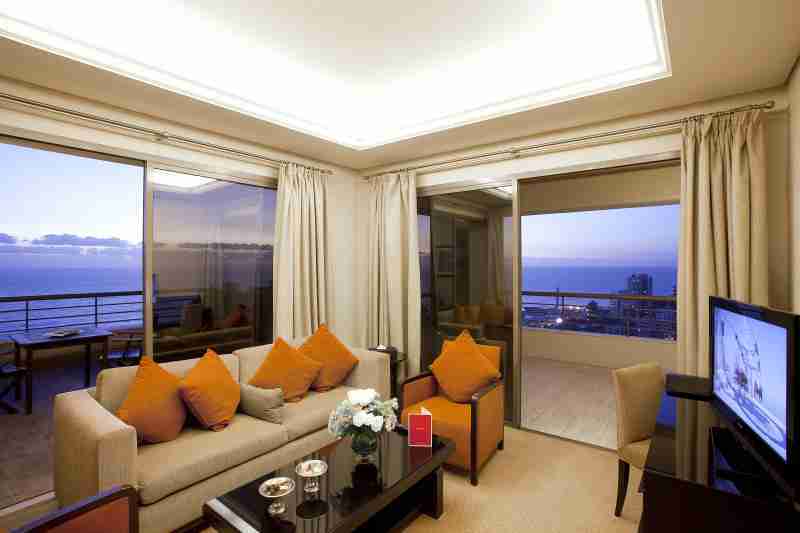 Minutes away from the airport and the Beirut Central District, as well as major shopping and entertainment areas. Arrive into a lavish atrium lobby with natural lighting thanks to an eleven meter height glass dome. 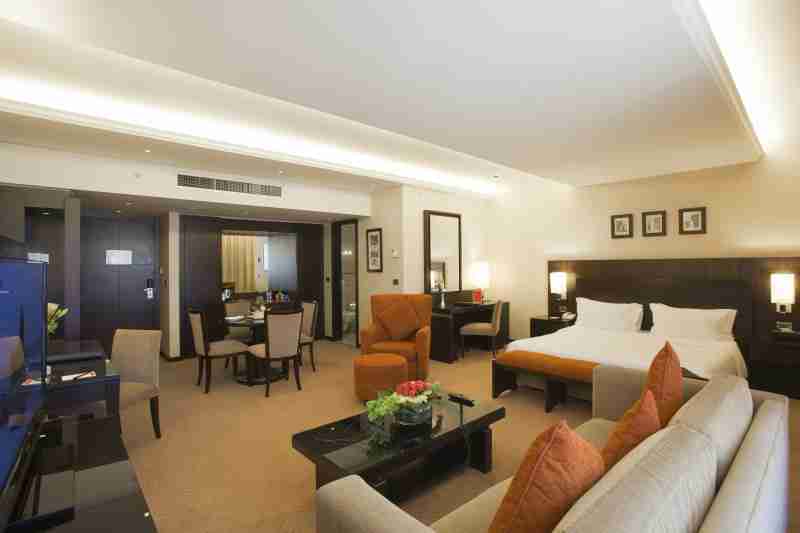 Unwind in 144 elegantly designed rooms and suites with views on the city, the pool or the sea. Rooms are tailor made to meet your business and leisure requirements, featuring a laptop size safe box, working desk and a complimentary coffee & tea tray. Rooms are divided into 119 Classic, Premium, and Executive rooms, 12 Junior Suites, 9 Executive Suites, 3 Panoramic Suites and 1 Presidential Suite. All rooms are air-conditioned, soundproofed, spacious and elegantly decorated featuring a working desk, laptop size safe and LCD TV. All rooms have marble bathrooms with full amenities, a fully serviced mini-bar, coffee / tea tray and a hairdryer. 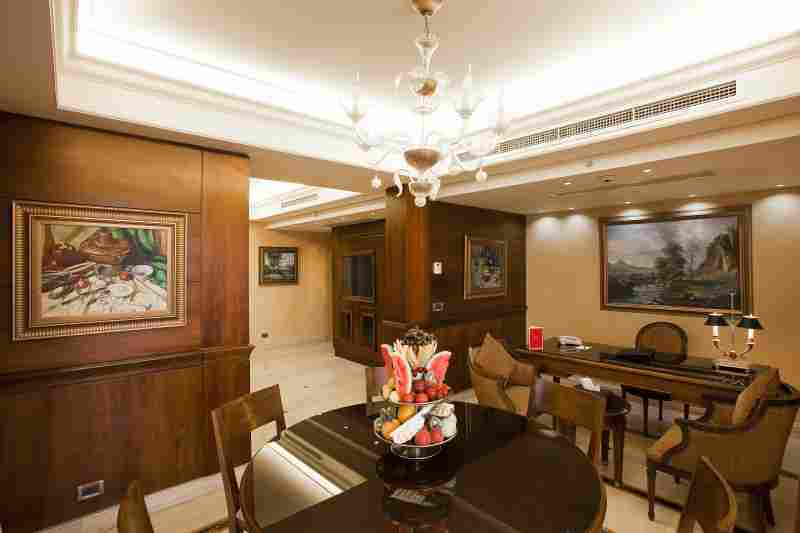 Among the 25 Suites available, the most luxurious is the Presidential Suite on the 16th floor. The Presidential Suite includes a lavish bedroom including an in room seating area, a bathroom with a jacuzzi, a spacious living room, a dining table for 6, a working desk and a large terrace with a beautiful view of the sea.